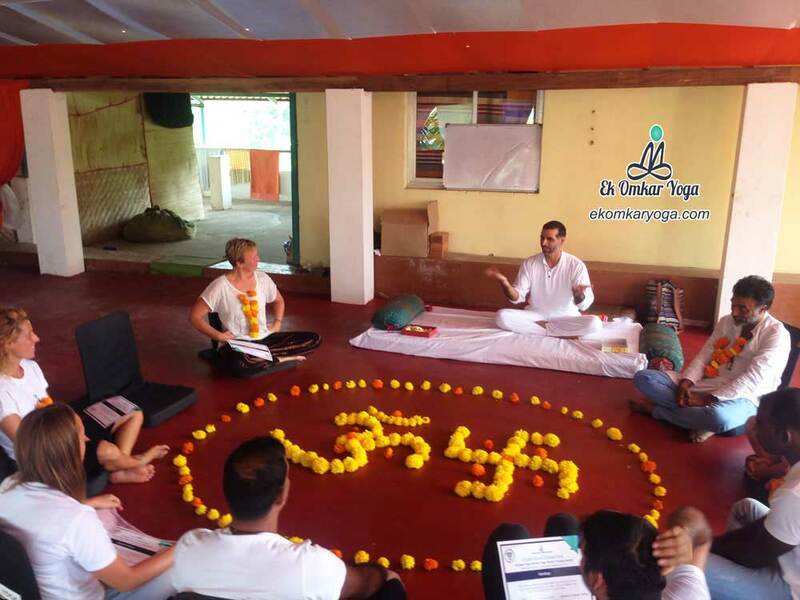 Ek Omkar Yoga has 200 hour yoga teacher training in Goa and Rishikesh. We are registered with the Yoga Alliance USA which is recognized worldwide. The course is compiled by yoga masters at our school. It includes the understanding of yoga in a practical and theoretical manner. Most of the practice is traditional and comes way back from the roots. The knowledge of Hatha (Sivananda style) and Vinyasa yoga is given in such a way, which becomes easy to understand for beginners and students of advanced level. Our goal is to make a strong foundation for the understanding of the various areas of yoga with 200-hours yoga teacher training. We focus on teaching you the correct posture alignment, ways to concentrate, regulation of breath, meditation power and philosophy of yoga. Ek Omkar Yoga promotes self-practice of yoga as well as the discipline of it. You will experience a sense of calmness and peacefulness with our training sessions. You can teach yoga confidently to others once you acquire your certification. This course is a 4-week yoga teacher training program. The course fee includes accommodation, excellent three meals in a day, TTC manual, yoga props and pickup.